Our Mini 30 Litres Household Grit Bin is ideal for the areas outside your home but is also ideal for many other areas where only a small bin is required. Constructed from 100% recycled polyethylene, the 30 Litres Grit Bin is an ideal grit storage solution for numerous applications. Designed with the householder in mind after the severe winters of 2009 and 2010 caused a shortage of grit / salt right across the UK, leaving most homes with no access to rock salt for use on drives and paths. 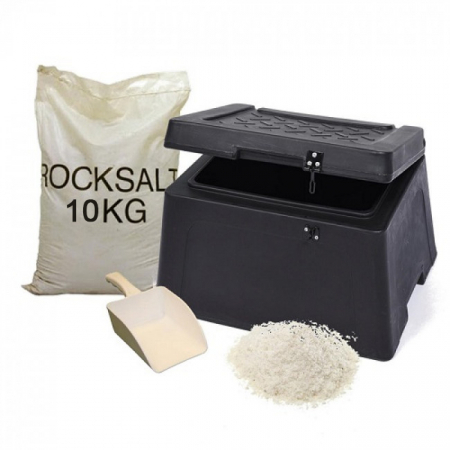 This bin has been designed to have the option of being used for a number of other applications when not being required to store rock salt, e.g. storing gardening tools and equipment, car washing materials storage, children’s toys, equestrian tack and much more. 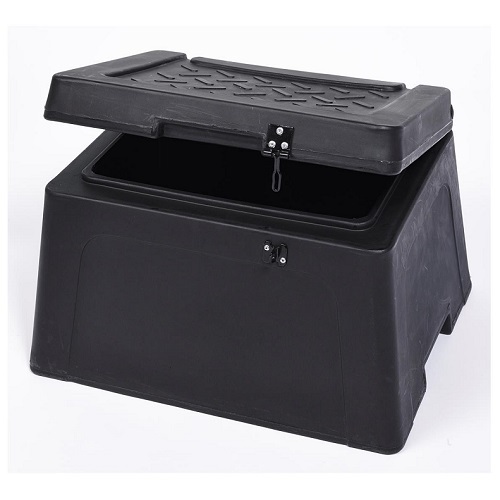 Small, neat and ideal for your garden, driveway, patio or paths, this is amongst the first suitable grit bins designed for use at home. 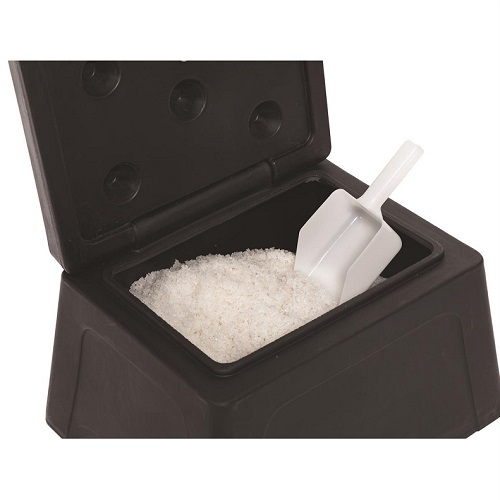 Keep the area around your home ice-free this winter by storing your grit / salt in our 30 Litres Mini Grit Bin. Delivered directly to your door by courier in one small handy parcel!